Hair Color & Styling Packages! Cut your hair in any style you like and finish with a blow dry to show it off! Retain your existing hair color or go for a whole new look with Olaplex products! Advanced color technology restores and protects the natural hair fiber from the core to the surface! This is a 2 to 3 step process depending on your current color tone. In case of additional color tone, extra charges will have to be made directly at the salon. In case of a total change to the base shade (dark to light), bleaching might be required. However the salon shall only do it after your approval. Have amazing looking hair with a trendy twist using Olaplex products! Contains one highlight color tone. In case of additional color tone, extra charges will have to be made directly to the salon. In case of a total change to the base shade (dark to light), bleaching might be required. However the salon shall only do it after your approval. Same applies for grey coverage as well. Duration: 2 – 4hrs depending on hair length and volume. Low maintenance technique which is generally darker at the roots through to mid-shaft then gradually gets lighter to the ends giving a shaded effect! Perfect coverage of up to 100% hair with superior resistance to fading! Cut your hair in a style that makes you stand out. Duration of full treatment: Approx. 3 – 5hrs depending on hair length and volume. 63% off some much needed change! 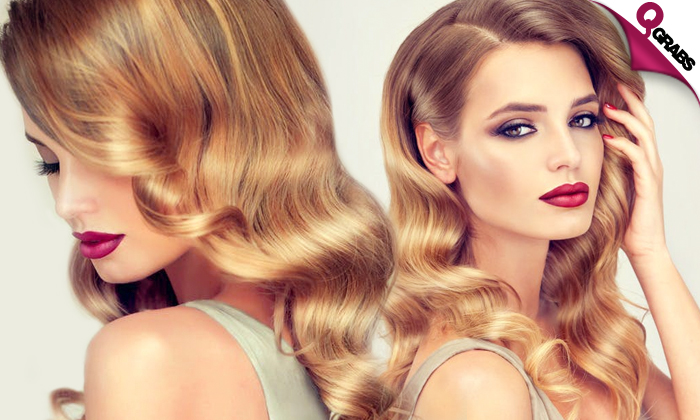 BEBEK Beauty & Spa has evolved to be the best destination for hair, skin, and beauty services. They offer a variety of services that includes hair, skin, spa, turkish hammam, waxing, mani & pedi, acrylic and gel nail extentions, facials and bridal makeup, henna designs and many more. They are equipped with a good ambiance, accord music and modern salon and spa amenities to provide a diverse range of bridal services. At BEBEK, they are committed to ensure that each time you visit our beauty parlor we will exceed your expectations in customer service, professionalism, and quality and consistency of services. Our staff is continually trained with the latest styles, techniques and products. A primary component of their success has been the courteous and intuitive service provided by their team. They offer expert consultations as a complementary service. Advice and recommendations are tailored to each client’s image, style, and persona.